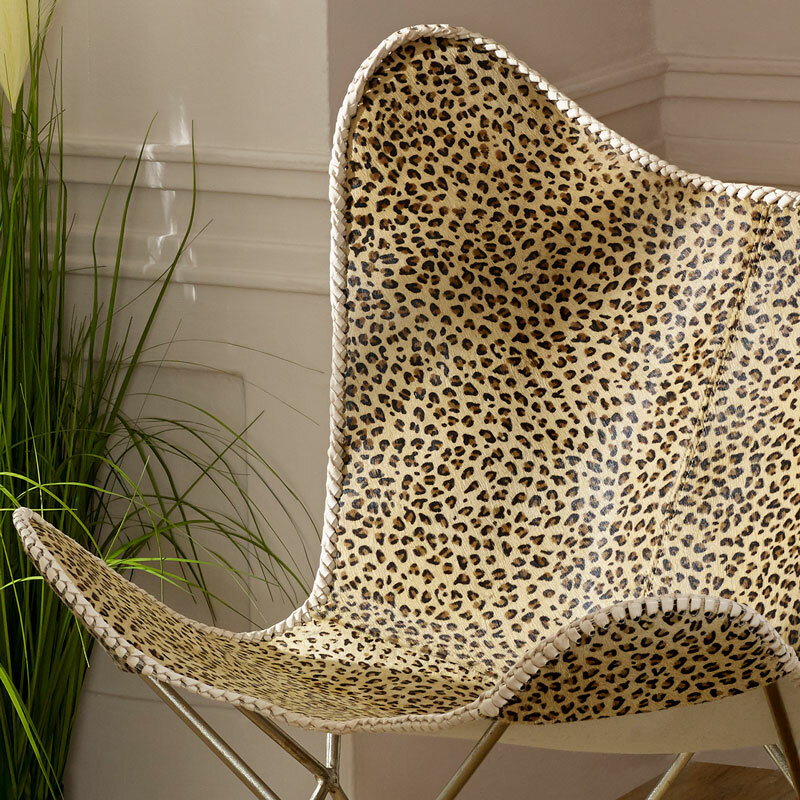 Large butterfly style occasional chair in contemporary leopard print covering. Stylish, comfy chair for living room, hallway or bedroom. Robust metal frame with fabric cover, classic safari print for the modern, contemporary home decor. Relax in style with this stunning chair with bold printed design that will stand out in any room. 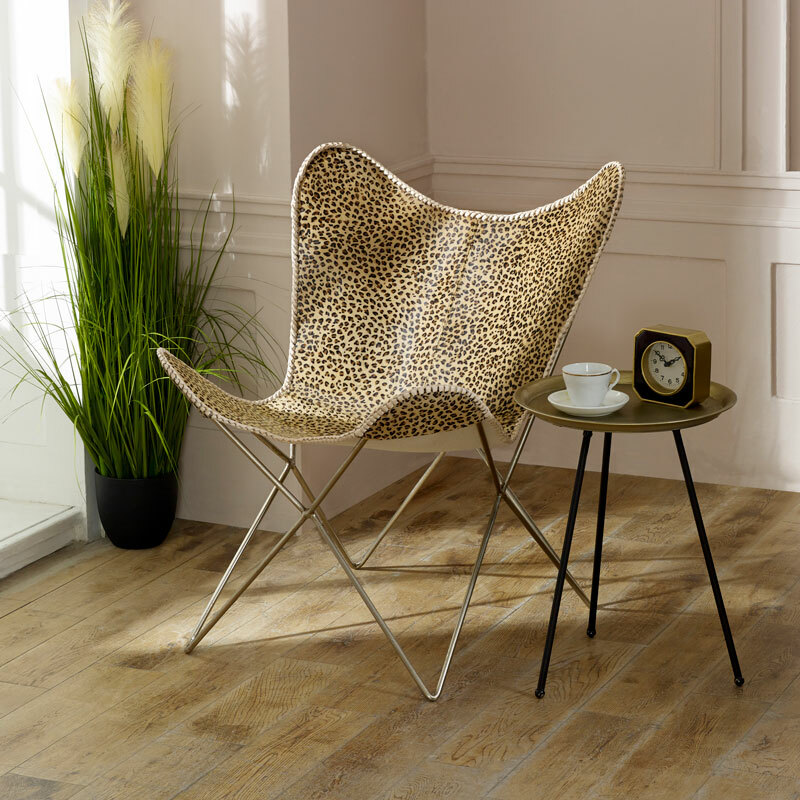 Large butterfly style occasional chair in contemporary leopard print covering. Stylish, comfy chair for living room, hallway or bedroom. Robust metal frame with fabric cover, classic safari print for the modern, contemporary home decor. Relax in style with this stunning chair with bold printed design that will stand out in any room. Constructed with sturdy iron frame and covered with leopard print fabric. The chair comes fully assembled and ready for use. We have a fantastic selection of furniture for the home.